This time of year my Twitter and Facebook feeds are full of statuses about people either putting their heating on or debating whether or not they should. I started thinking about why a simple thing such as when or if to turn a thermostat on had become such a hot topic of discussion. I think the biggest problem when deciding to switch it on are the feelings of guilt that come along with the decision. The last few years have seen huge rises in the cost of fuel and I think this has led to us all changing our ways when it comes to heating our homes. It makes me so sad that some people are forced to choose between buying food or heating their homes. Of course there are environmental reasons for reducing your energy consumption too. For myself and many families like mine the colder months comes with a little bit of dread attached. Personally I try to stick to the rule that between March and November we don’t put the heating on. This of course depends, if we have a really cold snap then of course I will put it on. 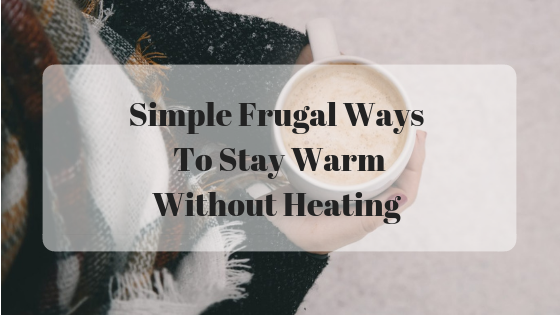 I thought I would share with you five simple and practical frugal ideas that might help you keep that thermostat off for as long as possible. 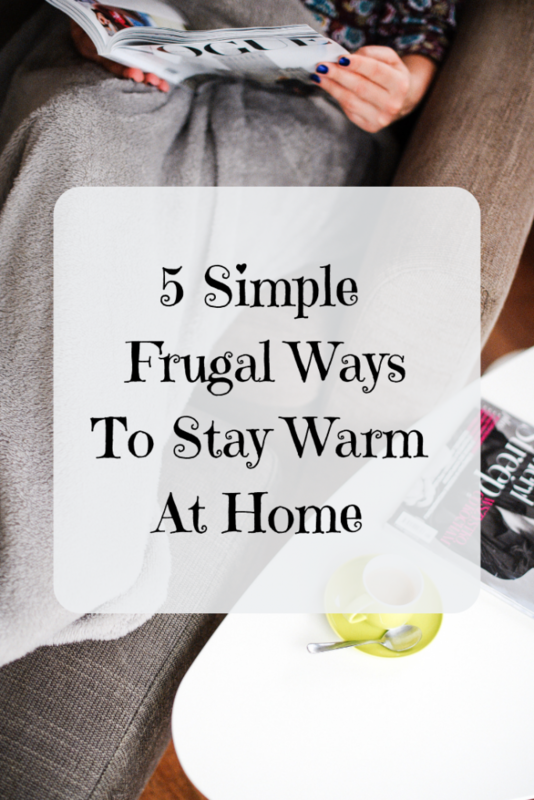 Here are 5 ways to keep warm in your house without heating. As your extremities are the first thing to feel cold I always try to focus on these areas first. We have laminate flooring throughout the downstairs which gets really cold during the winter. We don’t have the funds for carpet at the moment so we decided to invest in two warm fluffy rugs. We shopped around for bargains, using discount retailers and comparing prices online to find the best deal. You could try Facebook market pages and thrift stores if you don’t mind buying second hand. Investing in a good pair of slippers will help to keep your feet nice and toasty too. I find the hard bottomed ones with a faux sheepskin lining the cosiest. You could double them up with some fluffy bed socks for extra insulation too. This is such an obvious one isn’t it, layering up with your clothing is such an easy thing to do. This works well for children too, a vest, t-shirt and a jumper will help keep them toasty warm. The same applies for us grown ups too. I have a few trusty jumpers and hoodies on hand. A dressing gown to wear over your clothing while in the house can help to keep you really warm too. 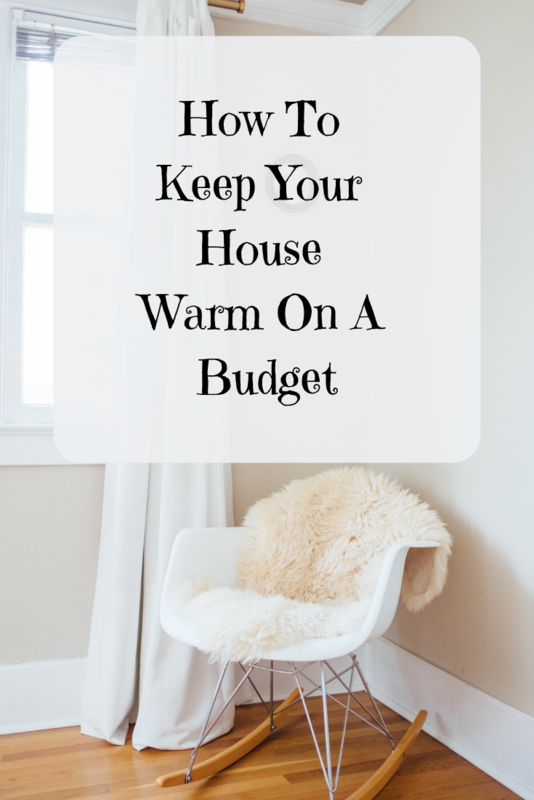 You could also keep lots of blankets or throws in each room. They are great for throwing over the sofa or as an extra layer of warmth on the beds. There’s Nothing like snuggling down to watch a movie in the afternoon when it’s cold outside with a warm blanket for company. 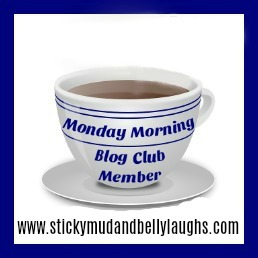 Another simple but obvious idea is keeping yourself topped up with warm drinks. Investing in a thermos mug is a great idea too. 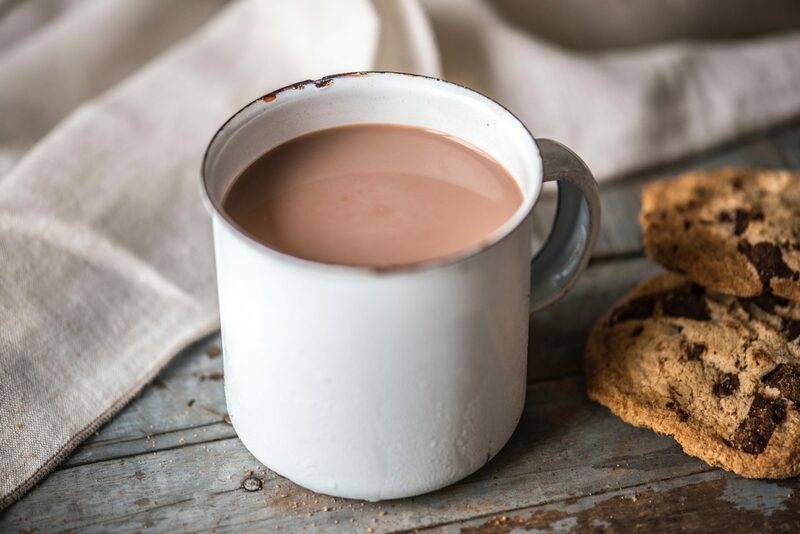 If you don’t like tea or coffee you could try hot chocolate, warm milk, Horlicks or Ovaltine instead. You could swap your usual lunch for a nice bowl of piping hot soup, stews and casseroles are also really good at warming your insides up too. Check out my Comfort Food Recipes For Autumn post for more ideas. I’m not just talking about donning your get fit kit and running round the block. Anything that gets your blood pumping. A vigorous session of housework or chasing the kids around will get you warm in no time. You could swap the gym for a workout at home, not only will it keep you fit it will also raise your temperature. Not technically about being warm in your own house and a bit of a cheeky suggestion, but you could always pop round to a friend or neighbours for a brew and steal some of their warmth for a while. You could even sneak your thermos of coffee in to the library and read the morning papers and enjoy their heating as a bonus. We use hot water bottles or microwavable wheat bags, and when the oven has been on we’ll leave the door open to warm the kitchen (we don’t have any small people who could get burnt). If my feet get super cold, sometimes the only answer is to have a nice hot bath 🙂 We could afford for our fuel bills to be a little higher, but we’d rather have money available for other things- that’s our reason for not just sticking the heating on whenever we feel like it. Those are all great ideas, I love having a nice hot bath when it’s chilly but don’t like getting out afterwards it feels so cold. Don’t drain the tub after your bath! The heat from the water will keep the bathroom warm for a long time after you get out. I can’t believe I wasted my time reading this! There’s nothing original about these tips! Just common sense! Hi Lucy, all I can say is you wasted even more of your time typing your comment! I’m from south Floridawhere we had about 2 really cold days a year. We would just keep the gas stove on and bundle up if we went outside. I thankful for these ideas now that I have moved to where there is four seasons. Thanks for your comment Rebecca, I can imagine what a surprise having four seasons after just living in sunny Florida was. It’s all about doing the little things to make those savings isn’t it. I don’t know where you people live but, in my area if you don’t turn your heat on your pipes freeze and, you die. Hi Sussie, Thanks for your comment, I obviously wouldn’t suggest these methods if you live somewhere extremely cold. I live in the UK where I suppose we have relatively mild Winters. You have a nice day now. These are great tips for those moving into their first place! I live in Florida where it does get down in temperature but very rarely to the point our pipes burst… and your supposed to keep them dripping the thermostat has nothing to do with that. And common sense isn’t so common so great posglt! Thanks for your lovely comment Tara, it really is about doing the little things sometimes they get overlooked when trying to make savings. Your comment makes sense for someone that lives in Florida. The thermostat DOES make a difference in areas that get below freezing and below zero. Even waterfalls freeze when cold enough. Pipes will freeze even if they have a small flow going thru them. Some of us also live in homes that still have copper pipes, those WILL freeze, making it MUCH cheaper to just turn your thermostat on! I hope none of those people take your words of advice. Thanks for the ideas. We already do these things and someone said they were just common sense but there are lots of people that either don’t have common sense or just overlook the simple things. 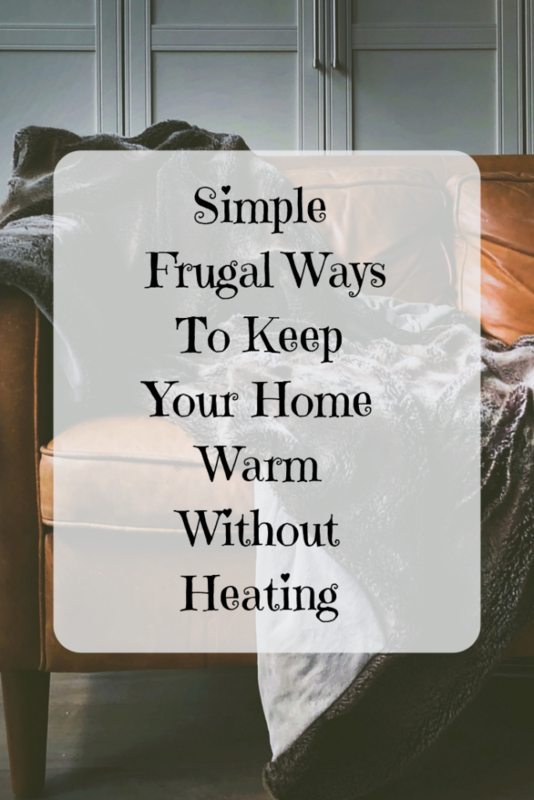 And to if you have never had to be frugal before then you may not know these things. I have 5 kids and we incorporate these ideas. Our Climate is iffy. It could be 5 degrees one day and 60 the next. We have been having crazy weather the last few yrs, all yr long. If its to cold for the kids outside then we have fuzzy sleep pants we run around in and fuzzy housecoats. Even though we heat primarily with wood I don’t want to waste the wood. Just my thoughts. Thanks for your comment Christine, sometimes it’s about going back to basics isn’t it. I like to check I’m doing all the little things before I look at other ways to make savings. It sounds like you are doing a great job with saving on fuel. buildup around the edges. My home feels so much warmer, so I do not have to use too much heat from the furnace. After my pipes froze, despite keeping a trickle of water running, a plumber told me that I should have kept BOTH HOT AND COLD WATER running. His suggestion to thaw them: open doors under sink, put a hair dryer onto a kitchen chair (not too close to pipes), & very slowly heat the frozen pipes–it worked! And to put humidity into both kitchen & living room, I now put “Spaghetti Water” on the stove–I simmer a large pot of water, with a little vinegar in it, but I do not boil it–that only puts mold onto the ceiling. I use the stove timer to alert me in an hour or two, to check the water level. I also use a spray bottle of water for my bedroom drapes, bedspread, and carpet, an hour before retiring. This makes the room feel warmer, and cuts down on getting static shock from the carpet. Hey angela how about turning on the oven. To high then open the door. After you finish baking or what ever your doing with the oven. That left over heat can be used to heat up your kitchen too. Thats the one room everyone seems to gather most of the time. That’s a great idea Maria ! i have a problem. we have a heater. around the house. it heats nicely, however, i think it’s attached to someone’s house. so i put the temperature, at a certain degree, then it heats up very nice. However in the middle of the night i hear a ghost, or someone yelling, it’s mine. i hear a couple of voices. my heat becomes an air conditioner. There is no one to complain to. so i got these metal tins, bought a couple of floating wicks, and some canola oil… it heats up the house a little. some of us have a cold. But i just bless the person or people who do it. that they will have everything they want. It’s a wonderful thanksgiving. When i go to stores, and i feel the heat, or i wish i would also have such wonderful heat. but maybe those who complain need the heat more than we, and so i bless them so they’ll be warm, and won’t have a cold like us. I live in the very humid south USA. Dehydrating in the hot humid months is practically impossible, so most of my dehydrating is done in the cooler months. I get heat and humidity added to the house while I’m accomplishing preserving food. So now, we use their heat without any grumbling as the walls are thin and it soaks through to our own apartment. We also have drafts that are around the patio door and the front door. Maintenance refused to fix. I found that using drapes on the windows and a towel in front of the front door and throwing a throw over the Air conditioner has dropped the utility bill greatly. Also using quilts with a warm batting instead of the summery duvets and comforters in the winter months over the top of a crocheted afghan also helps. I put the quilt on top as I have a sweet Senior Shelter Rescue Puppers :). I learned the hard way and now my favorite throw is what covers the AC, as I had to cut it to release her snagged toenail ;’ (. 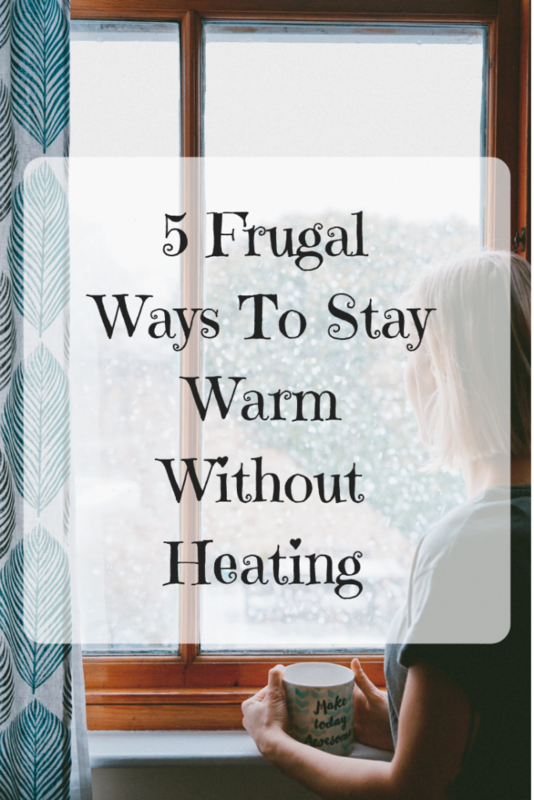 I also turn on the heat lamp on in the bathroom along with the exhaust fan and that reduces the fog on the mirror and helps warm the apartment after the shower or bath are done. Our apartment is hyper dry and I am not able to get a humidifier or the air purifier that my breathing requires. I have been using an Essential Oil Diffuser which helps not only the moisture levels but also the atmosphere and mood :). On occasion, I will put a pot of water on. But I always have a container of just plain water sitting around that also helps add moisture to the air. I also dress in layers, but always wearing two pairs of socks but change them often and take them off at bedtime to prevent fungal infections on my feet and toenails. I have a little space heater that I turn on only when I need to keep my feet warm. Such as when I am sitting at my PC. If I am having a flare up of my Inflammatory Arthritis, I simply run my hands under warm running water for a couple of minutes and then I do it as often as required. I also, use microwaveable Heat packs made with white beans. I have another with Rice for when I need a longer extended period of heat. I often use my Electric Heat pad while I am at my PC from time to time. Also putting my clothes in the dryer for a short spin before dressing / before getting into the bed helps. Have a blessed day y’all’s! When dressing, we’d always put our socks onto the hair dryer nozzle and heat them up for 5-10 seconds then put them onto our feet and into shoes right away. That extra heat from the socks would help keep us toasty warm. The kids would line up every morning to have their turn to get their warmed socks. 20 years later, I still do it for myself. Hardly ever use the hair dryer for it’s regular function. In this house it’s for winter warming socks, drying/warming the body after showers and sometimes prewarming the bed before bedtime. Went the whole winter last year without turning on the main heater (South West, USA). Thanks for these helpful reminders! It is so easy, in our busy lives, to mindlessly turn on the furnace when it begins to be chilly at dusk. And we all know when we r e a l l y need to use it. I live in Israel, where winters usually don’t get colder than +4 degrees Celsius. The trouble, though, is that houses are not insulated and so it feels really cold indoors. I would just like to add one more reminder to the above mentioned. When you m u s t turn on your heating, do so only in one room and gather the whole family there. 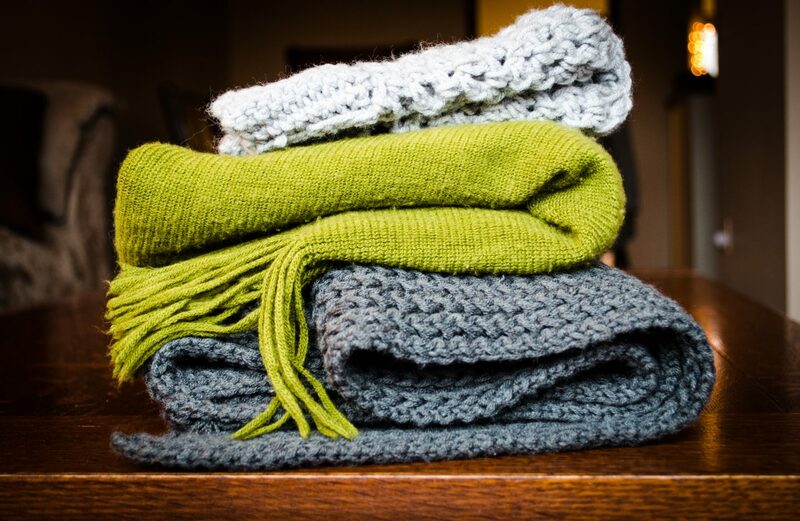 If you simultaneously use blankets, shawls, layered clothes, bed socks, hot tea/soup with newly baked bread, one small space heater should be enough, even during the coldest of evenings. Rugs help very much too, and so do draperies in front of windows and draft stoppers at doors. Thanks for sharing! I love your suggestion of going out to warm up elsewhere! I look forward to sitting in the sauna or hot tub at the health club to get my fix! I used an enclosed oil heater when it’s windy, blankets in the living room, just bought on sale flannel sheets and warm the bed with a heating pad before I get in. Plus my cat keeps me toasty warm at night. Have had great success with bubbie wrap. Throughout the year, it’s possible to get quite a large supply just with your incoming boxes. Invest in a roll of that blue painters tape, it’s real sticky, but easily handled and inexpensive for all the home uses. Use the bubble wrap sheets against the window glass and ledges. Can come down easily if company is coming. I use long towels hung on skirt hangers to break a draft, just hang from the door top, can come down easily, doors, stairways, windows. Keep the warm air where you need it. Like our grandmothers did. If you’re going outside, hard boil some eggs, keep hands warm by putting the eggs in your pocket. Do some for the kids waiting for the bus, or their crossing guard. I close rooms off during the winter so that the heat I do use is concentrated in just a few rooms. When we 1st moved in it was a very cold spring in the UK and our heating system was inadequate. To stop the worst of the cold in the kitchen (for an elderly dog!) I used to put my slow cooker on overnight. It did help quite a bit. BTW – the simple tips are often the best ones. Good post thank you.